Do you have a child that loves animals and everything about them? Our Junior Keeper programme will leave them buzzing as they spend a day with our keepers and animals. They will learn what it is like to be a zookeeper – cleaning, feeding, monitoring, caring and playing with the animals. This fun and educational program offers children the opportunity to see our animals up close and have an extraordinary experience. 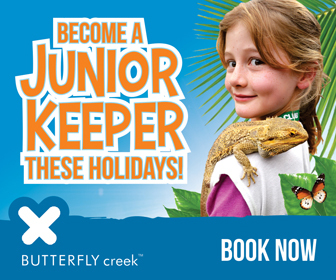 Junior keeper runs during school holidays or by special appointment. The programme requires a minimum of three children per session to run (we will organise children into a suitable session). Click the blue ‘Book Now’ button below to start your booking. Contact us via [email protected] or 09 394 1572 if you have any questions. If the current dates get booked out, we will open another day, please email us if you are interested in alternative dates.